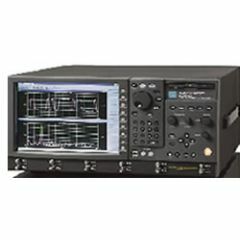 Wavecrest DTS is a recognized test equipment manufacturer that supplies products for the troubleshooting, debugging, repair, characterization, and production tests of advanced electronic devices. Wavecrest has produced high-performance, high-frequency circuits, analyzers, and devices for years, abiding by stringent standards regulations and a dedication to complete customer satisfaction. Wavecrest’s equipment has specialized features and applications, such as external arming, programmable subroutine memory, and built-in calibration for easy use and optimal user convenience. Engineers across a variety of industries can count on the Wavecrest brand for top-notch testing and development equipment. You can shop ValueTronics.com for new, used, and refurbished Wavecrest items.